Through technology we are able to provide healthcare to rural areas and solve problems we never could have solved before. We are able to bring education to the 400 Million people around the world connected to the Internet and to help aid in global disaster relief efforts. 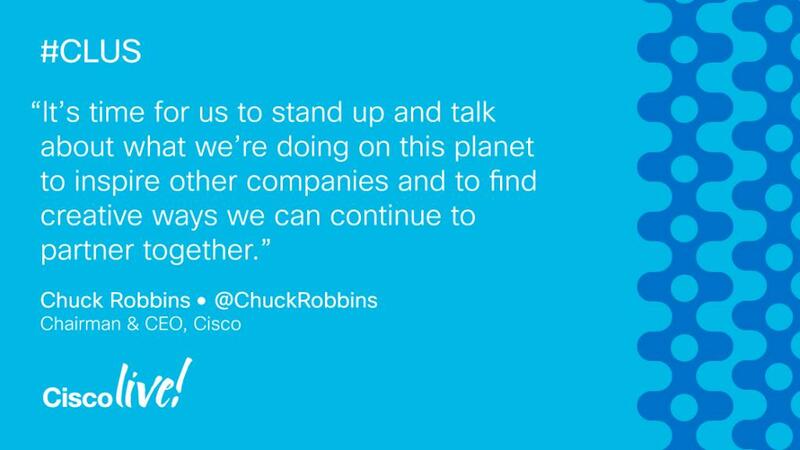 “It is abundantly clear that networks are going to power the future” – Chuck Robbins. For the network to propel us into the future and to make an impact in this hyperconnected world, it’s crucial that security is the foundation of the network. Last October Cisco announced its partnership with Google Cloud with the introduction of the Cisco Hybrid Cloud Platform for Google Cloud, which will be available to customers later this year. The platform was designed to help businesses adopt the cloud and bridge on-premise and cloud environments at their own pace. This is done with an open hybrid cloud architecture that allows customers to leverage the cloud as well as their own existing controls and best practices. With this open architecture applications are able to span public and on-premise clouds to run where they run best. The real value of the partnership is our ability to take advantage of the fast-pace of new technology and use the disruptive technologies to keep innovating and moving forward in non-disruptive way. The network isn’t the only security focus at Cisco Live this year. The data center remains at the center of today’s digital enterprise and the attack surface has grow significantly over the last few years. 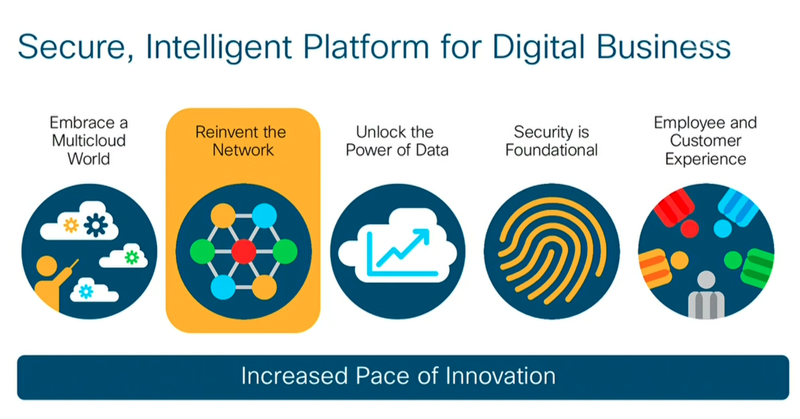 Cisco is “redefining security for the modern data center: delivering visibility, segmentation and threat protection at the process, application, device, fabric, and network level.” Last year Cisco acquired Observable Networks, which provides real-time, cloud-native network behavior monitoring, to extend the existing Stealthwatch solution into the cloud. Cisco’s Stealthwatch Cloud solution improves security and incident response from your office to the cloud. Delivering this security as a software as a service (SaaS) makes it easy to try, buy and use. Cisco Stealthwatch, Cisco Next Generation Firewalls and the new Cisco Tetration all work together to provide more effective security for your workloads anywhere. Deliver high quality video to public cloud services. All meetings are now supported on the back end by the Webex backbone IP network, which connects meeting servers in both public cloud spaces and Webex data centers giving customers the best quality and lowest latency experience possible. Providing customers enterprise compliance in a consumer-like multi-company collaboration tool. With traditional collaboration tools the guest accounts are completely unsupervised and hinder security. In Webex Teams each user has their own account in a global communication cloud where every single message an employee sends is subject to compliance testing. Company compliance policies are applied to all users in a group chat, even the users outside of the company. This is the first ever multi-company compliance engine to provide both global connectivity and compliance at the same time. Delivering a premise-grade video solution with a cloud video offering. Customers expect high-quality no jitter, no lag video quality delivered at an affordable at great scale, which has divided the market into premise video vs. cloud video. Cisco’s Video Mesh supports the meeting with a combination of software servers that can run on-premise or in the cloud, so to the end users it’s a single meeting although they are each connecting to different media nodes. Visibility to know when someone is in the conference room. With the new Webex Teams application users can now join the meeting from any conference room, anywhere in the world, and join with the press of one green button. When you’re not in a conference room you can join the meeting from your PC using that same green button! Delivering an AI assistant to the workplace. Users have their assistant at home with Alexa and Google Home and Cisco Webex has translated that same idea to the workplace. The new Webex assistant is built on the Webex Graph: the foundation for intelligence, and is staged out in 5 phases. 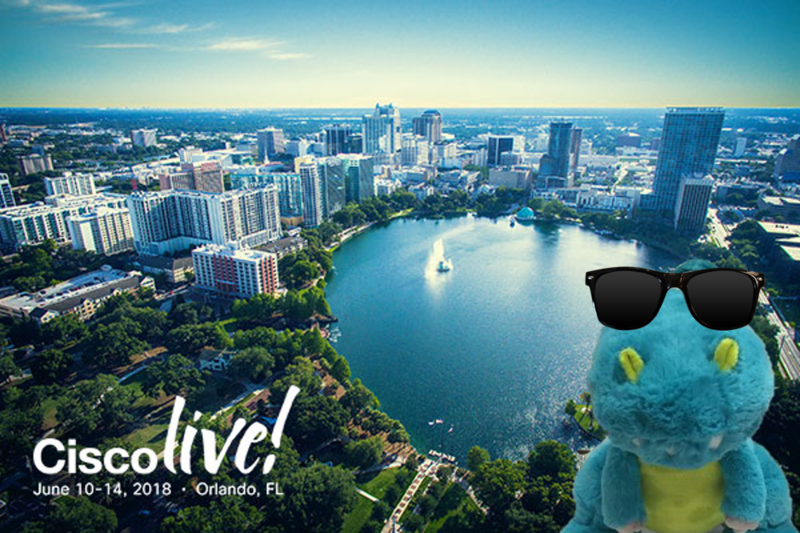 Cisco Live is just getting started and we are excited for what the rest of the week has in store! Tomorrow kicks off with David Goeckeler’s Technology Keynote at 10:30am EST/ 7:30am PST and you definitely don’t want to miss it!